With so many moving parts, it can be difficult to keep up with everything happening at the Capitol while the Senate is in Session. I hope this weekly newsletter will be helpful in updating you on what I’m doing in Springfield, from passing legislation to meeting with advocates and constituents. 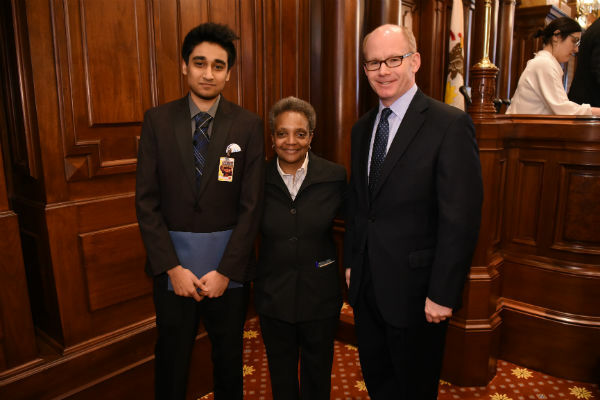 This week, the Senate took up important legislation to decrease teen access to cigarettes, we continued to discuss a fair tax and I met with organizations promoting important health concerns. More details are below. If you have any questions, please feel free to contact my office at 217-782-8176 or email me. Last week, Gov. JB Pritzker unveiled his fair tax plan, which would give a tax break to anyone making under $250,000 a year. This proposal is exactly the approach we need to restore fiscal stability to Illinois and help our middle class. Under this plan 97 percent of Illinoisans, the overwhelming majority, will get some form of tax relief, while we ensure we can continue to fund critical services and balance our state budget for years to come. This week, the governor’s office released a calculator that you can use here to see how the proposed rates would impact you and your family. Before any rates can be imposed, however, the Illinois Constitution must be amended to allow a fair tax. I am the Senate sponsor of the resolution to allow us to ask you, the voters, to consider the constitutional amendment, and I will be working closely with the governor for the remainder of this Session to make sure it passes the General Assembly. 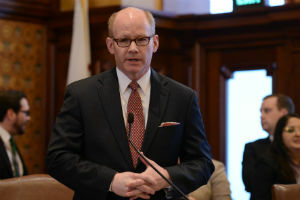 Illinois is one step closer to joining a growing list of states that have raised the age to legally purchase tobacco to 21 under a plan sponsored by Rep. Camille Lilly and State Senator Julie Morrison that passed the Senate Thursday. 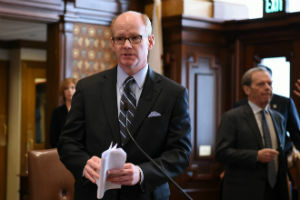 The proposal, contained in House Bill 345, would make Illinois the eighth state to pass Tobacco 21 legislation. More than 400 localities across the nation have already raised the age, including 34 jurisdictions in Illinois. Chicago, Highland Park, Buffalo Grove, Evanston and Peoria are a few of the cities in Illinois, both small and large, to raise the age. The legislation will now head to the governor’s desk to await his signature. 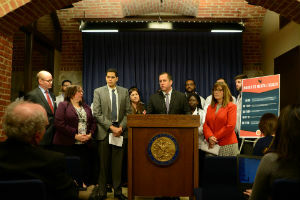 I joined Senator Michael Hastings, Senator Melinda Bush, Senator Cristina Castro and Senator Robert Peters on Wednesday to announce the March to Mental Health initiative, a package of bills to improve accessibility to mental health treatment. My legislation, Senate Bill 1135, would reduce barriers licensed prescribing psychologists face in meeting the growing need for mental health treatment in Illinois. It would increase access to prescribing psychologists in medical facilities and through health services like telehealth. Access to mental health treatment is a growing concern in Illinois and across the country. Almost 1 in 5 Americans have a mental health condition, but nearly 20 percent of them report having an unmet need for care. 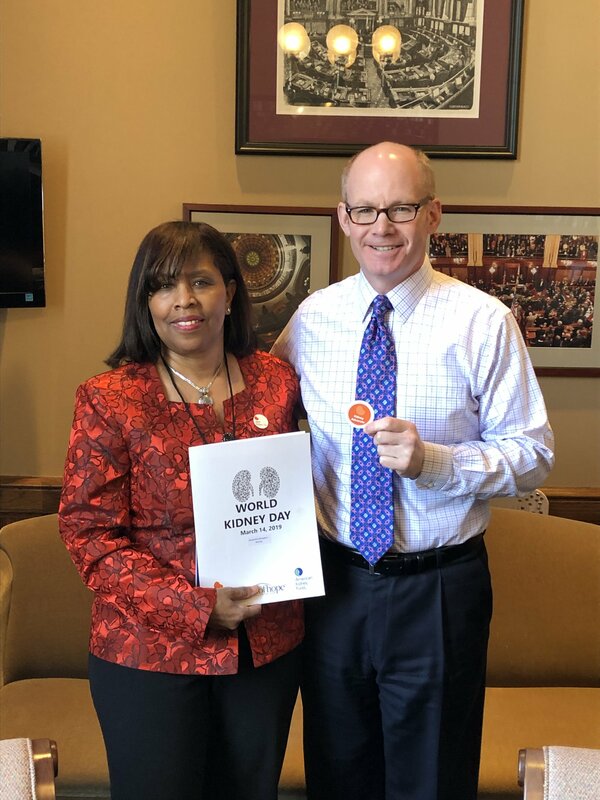 I was happy to meet with Jackie Bishop, the incoming CEO of National Kidney Foundation of Illinois on World Kidney Day this Thursday. World Kidney Day is a global awareness campaign aimed at raising awareness of the importance of keeping your kidneys healthy. Learn more about National Kidney Foundation here.